The Third Squad is investigating an incident of a male exposing himself that occurred on Wednesday September 3, 2014 at 3:20 p.m. in Hempstead. Hempstead, NY - September 4th, 2014 - The Third Squad is investigating an incident of a male exposing himself that occurred on Wednesday September 3, 2014 at 3:20 p.m. in Hempstead. According to detectives, a 13 year old female victim was walking on Lawrence Road when she passed a white Chevy 4 door sedan parked at the curb occupied by a male Hispanic. The subject asked the victim if she wanted a ride home at which time the victim noticed the subject was exposing himself. The victim ran back to her school and reported the incident. The subject fled in the vehicle in an unknown direction. 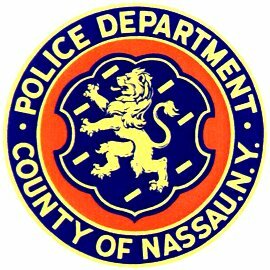 Subject: LongIsland.com - Your Name sent you Article details of "Man Wanted for Exposing Himself to Teen in Hempstead, Trying to Coerce Her Into Car"